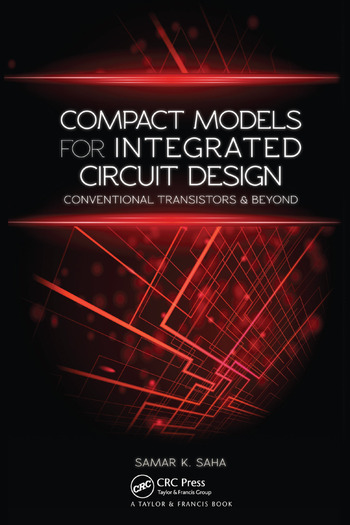 Compact Models for Integrated Circuit Design: Conventional Transistors and Beyond provides a modern treatise on compact models for circuit computer-aided design (CAD). Written by an author with more than 25 years of industry experience in semiconductor processes, devices, and circuit CAD, and more than 10 years of academic experience in teaching compact modeling courses, this first-of-its-kind book on compact SPICE models for very-large-scale-integrated (VLSI) chip design offers a balanced presentation of compact modeling crucial for addressing current modeling challenges and understanding new models for emerging devices. Compact Models for Integrated Circuit Design: Conventional Transistors and Beyond is intended for senior undergraduate and graduate courses in electrical and electronics engineering as well as for researchers and practitioners working in the area of electron devices. However, even those unfamiliar with semiconductor physics gain a solid grasp of compact modeling concepts from this book. Samar K. Saha holds a Ph.D from Gauhati University, and an M.S.EM from Stanford University. He is currently adjunct professor at Santa Clara University, technical advisor at Ultrasolar Technology, distinguished lecturer and 2016–2017 president of the IEEE Electron Devices Society, and fellow of the Institution of Engineering and Technology. He previously worked for National Semiconductor, LSI Logic, Texas Instruments, Philips Semiconductors, Silicon Storage Technology, Synopsys, DSM Solutions, Silterra USA, and SuVolta, and served as a faculty member at Southern Illinois University at Carbondale, Auburn University, University of Nevada at Las Vegas, and the University of Colorado at Colorado Springs. "A comprehensive book deeply rooted into the physics foundation of the devices being modeled… It convinces the reader, providing confidence in the inherently quite complex equations involved in compact modeling. Moreover, the inclusion of a chapter on process variability in miniaturized devices gives the entire book a deep sense of realism." "A comprehensive compendium on generic MOSFET compact modeling for both students and practitioners in electronic circuit design. … This text book provides a valueable insight of generic MOSFET compact modeling and is, thus, well suited for students in electronics engineering." "This is an excellent book written in lucid language and covers almost all the topics related to modeling of MOS system both electrostatics and transport. It is useful for both beginners and experts in the field of compact modeling. Chapter 8 on statistical variability and chapter 12 on library will be definitely useful as these chapters are not covered in other books." "The writing style of the author is very visual and transforms the material from sequential mathematical derivations into a usable mental image through precise descriptions of the device physics and model limitations." "…is extremely timely and something the community has been waiting for. This book is well written, with an in depth explanation of basic concepts as well as advanced topics. This would serve not only as an introductory text book on modeling for students but also as a good refresher book for experts working in the field. Personally, this is the book I have been waiting for, and would order one right away."